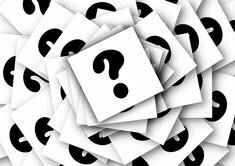 The big question with cars more than a few years old and safety is how much weight you place on the "small overlap" front crash test conducted by IIHS. This test was added just a few years ago. Many older vehicles (such as the pre-2014 Toyota Highlander) weren't subjected to it. Those that were subjected to it (such as the Honda Pilot and Mazda CX-9) generally failed. The Ford Flex did okay in this test, is roomier than most (with an especially good cargo area for a crossover), and is stylish in a way that some people really like and others really hate. The downside: the Flex tends to be less reliable than the others mentioned. I recommend taking a look at the Mazda CX-9. As mkaresh mentioned above, it did not perform well in the small-offset frontal crash test, but few competitors fare any better. It does well on the moderate-overlap frontal collision, side impact and all other crash tests. I have a 2012 with 59k miles on it (bought new in Nov 2012). I have the Grand Touring (or GT, the top trim level), but the mid-level Touring model is almost as nice. For $20 or less, you can get a 2011-2012 CX-9 GT with under 60k miles. It has a usable/accessible 3rd row seat when you need it, but I keep mine folded 99% which gives it a massage amount of cargo space. Mine has features such as an 11-speaker Bose stereo, Rain-sensing wipers, two-tone leather seats, moonroof, Xenon headlights, power liftgate, very comfortable driver's seat wtih power lumbar and memory and advanced keyless entry/start. All 2008-2015 CX-9s have a 272hp 3.7L V6 that was designed by Ford, but actually built by Mazda in Japan. Technically, a Ford dealer/mechanic can service the 3.7L V6 because it has been used in various Ford/Lincoln vehicles. They also have an excellent 6-speed Aisin automatic transmission that is one of the best I've ever experienced. The only recommendation I would make is to get a FWD rather than AWD model. The only signficant issue on older and/or high-mileage models is failure of the transfer case with AWD. The maintenance required is minimal and very reasonable. In 3.5yrs and 59k miles, I've changed the oil every 5-6k miles (synthetic blend), replaced the cabin air filter twice and the engine air filter once (the latter two I did myself in less than five minutes). According to Mazda, the transmission has "lifetime" fluid that never needs changing...but I drained and replaced mine at 50k miles and plan to repeat every 30k going forward. The coolant is good for 10 years or 120k miles and the spark plugs don't need changing until 100k miles. Very reasonable. I forgot to mention that the middle (2nd) row seat slides up to 8" forward or back to maximize 2nd row legroom or to make more legroom if the 3rd row is in use. The 2nd row seatback also reclines. The cargo area is huge with a very useful storage space under the rear floor for smaller items. There are even four grocery bag hooks. With any 3-row SUV, you're simply not going to find one that gets "good" gas mileage. My CX-9 is EPA rated at 18/24 and I average around 19mpg overlall and top 20mpg on long freeway trips. I regularly drive at 75-80mph on the interstate and have the A/C on almost all the time and achjeve those numbers. The other SUV I would recommend, if the CX-9 doesn't work out for you, is the Kia Sorento. I'd suggest a 2013-2014 Kia Sorento EX or SX/SX-L. The 2013 EX was available with a 191hp 2.4L 4cyl or 276hp 3.5L V6, 2014 and later EX and higher models all have the V6. Avoid the 2.4L because it simply doesn't have enough power for a vehicle of this size. Otherwise, I think you might be surprised at how nice the Sorento is inside and how well it drives. Thanks so much for the suggestions, mkaresh! 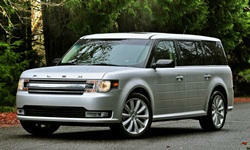 Re: the Ford Flex, unfortunately I think I'm in the group of people who don't like the styling. I really don't like boxy cars. Thank you for mentioning the front crash test though. I was looking at that on the IIHS website and did notice that only a few of even the newer cars passed or got good ratings on that and I've been wondering how big of a deal it is. Care to elaborate? jasonmreece, thank you for sharing your experience with the Mazda CX-9! I will seriously consider that one, it's one of the top contenders. I will also consider the Kia Sorento if only because I will be able to get a newer model with my budget. I'm curious, what do you think about the Hyundai Santa Fe? Do you think the Sorento is better? I actually come from Asia and just recently moved to the US. Where I'm from the Hyundai has a better reputation than Kia. It's thought of as approaching Honda's status. The Hyundai Santa Fe is also a very good vehicle. The Santa Fe and Sorento are built on the same platform (and both models are built in Kia's U.S. factory in West Point, Georgia). In theory, the Santa Fe is the more comfortable, luxurious model while the Sorento is sportier and has higher feature content for less money. I previously recommended a 2013 or newer Sorento, but I need to correct that. The Sorento was heavily revised for 2014 with better ride and handling, improved steering, additional feature content, modified exterior details and a new, improved V6 engine. I would definitely recommend that 2014 over the 2013. I thought about the Santa Fe when I recommended the Sorento earlier and I probably should have mentioned it. The Santa Fe (in 3-row form, which I wish they would call the XL, as they do in Canada) was introduced in 2013. The frustrating thing (to me) is how they package options and trim levels of each model. In 2014, the Santa Fe came in two trim levels- GLS or Limited. The GLS is somewhat basic in standard form, ,but there are two option packages available- a 3,550 Premium Package (Leather seats, Power Liftgate, Power passenger seat, Proximity Key w/ Push-Button Start and a Blind Spot Detection System) and the $4,000 Technology Package (requires the 'Premium' Package). So there are some used GLS models that will have cloth seats and limited feature content. Some will have the Premium Package and some with have both the Premium and Technology Package. The Limited will be priced out of your budget, but it might not be a great fit anyway. The Santa Fe GLS is a 7-seater while the Limited is only a 6-seater (two captain's chairs in the middle row instead of a bench seat). Kia offers the Sorento in more trim levels- LX, LX V6, EX, SX and SX-L (or SX Limited). The mid-level EX essentially has the same feature content as the Santa Fe GLS with Premium Package. A 3rd row seat was optional on the EX, so you'll need to make sure any you're considering have the 3rd Row Seat Package (3rd row bench seat, separate rear ventilaltion controls, priced at $1,200 when new). The Sorento EX also had a $4,400 Touring Package available that is very similar to the Santa Fe's Technology Package. It adds Navigation, 10-spkr Infiinity audio, Blind Spot Detection System, Driver seat/mirror memory, Power Liftgate and Ventilated (cooled) front seats. Searching nationwide on Cars.com, I found a lot more Sorento EXs than Santa Fe GLS models. A 2014 Santa Fe EX for just under $20k (with the 3rd row only, no Touring Pkg) for $19-$21k is realistic. I even found some 2014 SX and Limited models for just under $25k and they were also CPO (Certified Pre-Owned) which includes an extensive warranty (and the Limited in particular has a lot of extra features). So either way, you can't really go wrong as long as you make sure you get the features you need/want. I would definitely recommend locating two at nearby dealerships (or, if you're really lucky, at the same dealer) so you can drive the Santa Fe and Sorento back-to-back. The Cars.com 'Search Inventory' feature is very useful! My main concern with both the Santa Fe and Sorento is they're more likely to require repairs than the average Hyundai / Kia. Usually small stuff, though. On the crash test, while it's preferable to have a car with a good score in the small offset, this is rarely an option with a car more than a few years old. Any crash test represents only a small percentage of real-world accidents, in this case one where two cars collide head-on with only a slight overlap. There's an earlier moderate overlap test. And before that the tests replicated only a full overlap collision, which probably rarely happens in the real world. 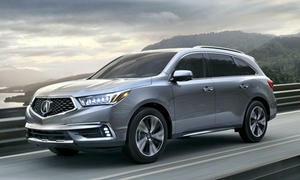 What do you guys think of a 2010-2011 Toyota Highlander or 2008-2010 Acura MDX vs the newer Sorentos, Santa Fes or CX-9s? First of all, the Acura MDX is an excellent suggestion and I have no idea why I didn't think of it! mkaresh (Michael Karesh, the creator of this wonderful site) recommend a 2008-2010 MDX. The previous-generation MDX was introduced in 2007 and received signficant upgrades in 2010 that carried it through 2013. In 2014 the current MDX replaced it. I checked real-world prices on Cars.com and you could actually get a 2010-2012 MDX for $25k of less (with 60k miles). Compared to the 2007-2009 models, the 2010-2013 has a 6-speed automatic transmission (vs. a 5-speed auto in pre-2010 models) which improved acceleration and fuel economy. The front fascia and rear tail lights were also redesigned and various interior tweaks were made. A very good SUV became even better after the 2010 updates. For reliability and durability/longevity, I think it would be your best bet. It also has a slight edge in safety with active front head restraints and a decent small-overlap frontal crash rating. The 'base' MDX is very well equipped and there's little reason to pay for the more expensive Technology or Advance trim levels. The Tech has Navigation, an upgraded audio system, Rear-view camera display on the nav screen and 'premium' Milano leather interior. The Nav system in a 2010-ish vehicle is outdated by now, the standard audio system is very good and the standard leather is very nice. The only real benefit of the Tech Pkg is the rearview camera being displayed on the nav screen, compared to being in the rearview mirror on base models. The Advance has the Tech features plus Ventilated seats, Active Damper System sport suspension (sounds expenisve if it ever breaks, Blind Spot Monitor (handy but not a deal-breaker), Adapative Cruise Control, Collision Mitigating Braking System (both of which were not fully developed in 2010). The takeaway is- the 'Base' (sometimes referred to as the 3.7L) is pretty much loaded and there's little reason to worry about the higher trim levels. BTW, all MDX models prior to 2014 have AWD. In this case, it's Honda/Acura's SH-AWD (Super Handling All-Wheel-Drive) and it's one of the best systems in the business. The other thing was that I wanted to briefly expand on the explanation of the 'Small offset frontal collision' test. A vehicle has two frame rails which are the primary supporting structures (the backbone, if you will) of the chassis. In a full-frontal collision, both frame rails collapse in a controlled, sequential manner designed to absorb energy from the crash and divert it from the passenger compartment. In the 'moderate' offset test, there is a 40% overlap of the vehicle and obstacle/other vehicle. In this situation, one of the two frame rails absords the impact and protects occupants. But when the overlap is less than 25% (such as hitting a pole, tree or other car with just the outer edge of the car), neither of the frame rails can do their job. Instead, the impact usually rips the front wheel loose from the axle and it often crashes into the firewall and into the driver's footwell. When that happens, the steering column can be shifted to the left (along with the airbag) as the driver's head is slamming into the collapsing A-pillar (the structure between the windshield and front doors). This impact is usually fatal. Approximately 2500 people per year were dying as a result of this type of crash before the small offset test was implemented. Most 2014 vehicles don't perform well in the small offset test. Volvo (naturally) and Honda/Acura were ahead of the curve because talk of the small offset test started in 2009. They were two of the most prepared brands and the others had to play catch-up very quickly. 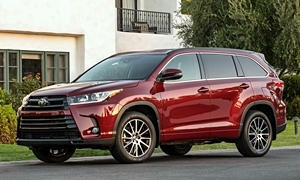 Seriously consider the 2008-2013 Toyota Highlander Hybrid. It gets 27 city and 25 hwy MPG. It came with many features for the time and is surprisingly luxurious (Lexus quality), albeit a little boring. It seats 7. The Toyota Hybrid system is one of the most reliable powertrains you can buy. It'll probably last for 300,000 miles. I've heard it's very boring to drive, but is a great practical SUV. It also was a top safety pick for every year. Another great choice is the 2007 Acura MDX. It is reliable, seats 7, is comfortable, and was a top safety pick. The MPG is 15 city/20 hwy; not good. The Highlander's strength is its reliabilty. Beyond reliability it's a decent vehicle that doesn't stand out in any way. The 2007-2013 MDX drives better than the Highlander, but its reliability has been about average. Not bad, but also not especially good (unless you're comparing it to something European). I like how the 2014 and up drives even better, and it's more fuel efficient, but less reliable (the 2007 MDX was also below average initially) and probably too expensive. Your requirements are very close to what mine were when looking earlier this year... We went with a 2010 Highlander (Limited), and I have no regrets so far (7th-8th month of ownership). Honestly, I would be astounded if I were to feel differently in the future.